How would you go about making your own flexible LED strips, or where would you get custom ones made? Finding any information about this at all is like finding a needle in a haystack, because when I go online and search, all the results are trying to sell their own LED strip lights. You would open your ECAD of choice, draw the schematics, import it into the PCB, maybe define a boardstack of a flexible PCB if you feel like it. 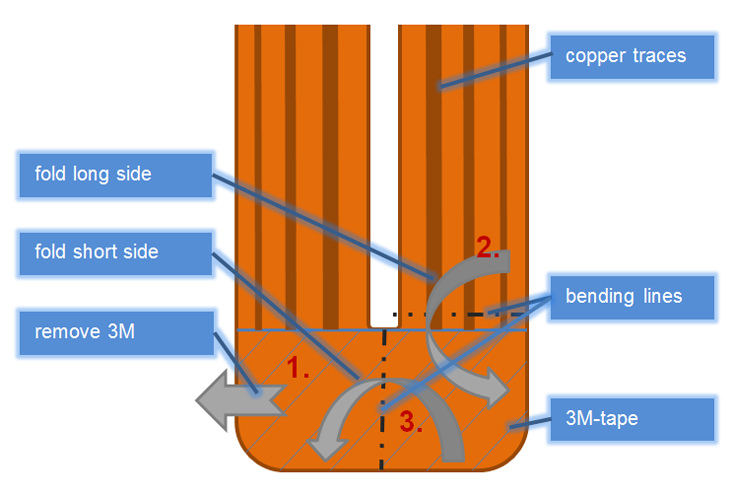 Then you look up the design rules you should use for flexible PCBs from your PCB house of choice. You layout your LED strip and order the flexible PCBs, then you just have to solder the components to your flex PCB and you are done. Seriously though, you go about it just like a normal PCB but you order a flex PCB instead. Thanks. Too simple. That must be why nobody asked before. Not sure about adhesive backing like the commercial LED strips have, but I can figure that out. They usually have some product code on the adhesive so I think it could be ordered separately. What about length? The PCB board houses I have seen have a 36-inch restriction, but commercial LED strips are 5m rolls (or longer). Although they are made from shorter segments soldered together. I think almost always, I see 50 cm segments between solder joints. Do you think they build them side by side as a whole sheet, then cut them apart? I'm not sure what you mean by "define a boardstack." Is that to specify what purpose you would like each layer to be used for? Regarding this, yes, you would just buy some double sided tape and attach it to your roll after the fact. I worked at a company that bought rolls of LED strips that weren't taped, and we had a jig that used the roll of lights, the roll of tape, and a power drill to quickly do a whole roll. So yeah, it's not uncommon for the rolls of lights to be untaped. You'll almost certainly have to do it yourself. We also built our own custom LED strip a few years ago and for us the hardest thing was the figure out how we could connect two strips safely together without using something expensive and without increasing the production time by a lot. We eventually settled on a different method. 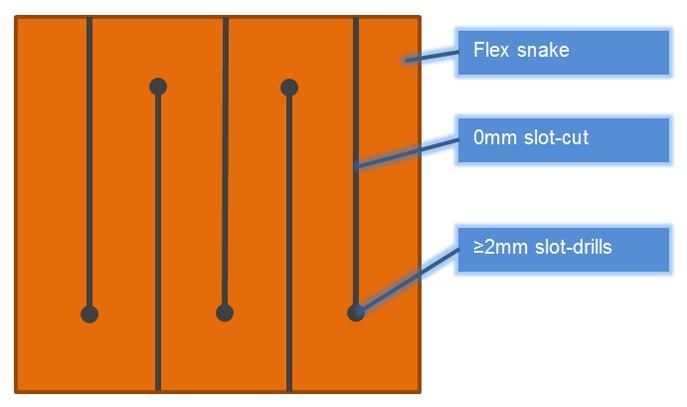 We did not connect multiple led strips together with solder as is common in commercial ones, we instead creates one big zig zag (like a snake) flex PCB which you were able to fold twice on the corners and solder all parts together. This solution turned out to be extremely strong compared to the traditional method. Another thing we learned pretty quickly is that you can achieve a higher density if you can place at least one if not two resistors on the side of your LEDs, this way you can place the LEDs pretty close to each other (remember that the LEDs are not flexible and will therefore determine your minimum radius, use smaller LEDs if that is a concern). 3M even has electrically conductive tape if you need that. I've been busy with other things and I just saw your last reply. From the folding instructions, it looks like the flex PCB is actually upside down on one side of the fold relative to the other?